Our program requires a soil sample before any services can be completed. The soil sample provides pertinent information such as soil pH, Buffer pH, Extractable Nutrients (P, K, Ca, Mg, Fe, Mn, Zn, Cu, B), Extractable Heavy Metals (Pb, Cd, Ni, Cr), and Extractable Aluminum, Cation Exchange Capacity, Percent Base Saturation. Lawn Envy also gathers information from the soil sample to determine what percentage of organic matter is present. 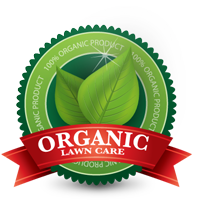 A combination of spreadable organic matter and customized compost tea mixtures coupled with aeration and over-seeding are part of an average organic lawn care plan. All of Lawn Envy’s Non-organic and Organic lawn treatments require a mandatory Soil Analysis which is studied prior to any major treatments and aids in a treatment plan specific to your property. Aerating and over-seeding in the Spring takes advantage of the growing season which happens twice per season, Spring and Fall. Add an organic compost as fertilizer or a soil amendment and you’ve got a prime growing environment ready to withstand pests that often make an appearance in early Summer. As a control for grubs that have been identified in the Fall, we use Nematodes specifically grown to seek and destroy grub larvae. To feed your lawn during the stressful months of Summer, we irrigate the lawn with a fertilizer mixture that adheres to the soil and plant surface to infiltrate at a low rate of absorption providing longer lasting nutrient uptake. As a control for grubs that have emerged in the Spring, Nematodes are added to control the grub population much like that of a Spring treatment.